I was planning to post something on the recent death of Lou Reed. 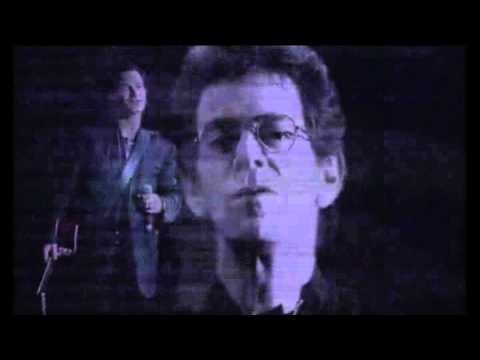 A friend at school, Honi, first introduced me to the Velvet Underground, but don’t think I really knew Lou until his digital duet with U2 on their 1992 ZooTV tour. Soon after, the film Trainspotting, featured ‘Perfect Day’ which seems to have become my personal ear worm, constantly muttering or humming. Through the late 90’s I found a biography of him, and then became quite obsessive, buying all of his albums, and I’m still not even sure what it is that’s been so compelling. I note there is a certain despair in his music which I’ve found strangely comforting. And an ability to evoke atmospheres in his lyrics that I found moving. They were always about places far cooler than where I was. Or perhaps it was because he made ordinary places sound daring. Anyhow, Bono has just penned an eloquent reflection for the upcoming Rolling Stone. New York City was to Lou Reed what Dublin was to James Joyce, the complete universe of his writing. He didn’t need to stray out of it for material, there was more than enough there for his love and his hate songs. From Metal Machine Music to Coney Island Baby, from his work in the Velvet Underground to his work with Metallica, the city that he devoted his life to was his muse more than any other. Until Laurie Anderson came into his life 20 years ago, you could be forgiven for thinking that Lou had no other love than the noise of New York City. If he thought people could be stupid, he thought New Yorkers were the smartest of them.